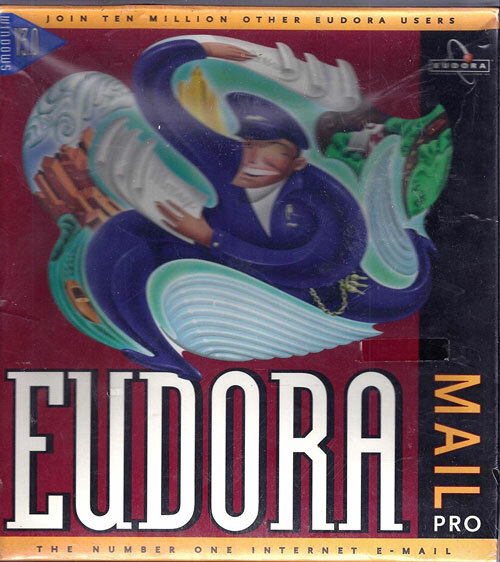 The early graphical client Eudora was how people checked their email in the ’90s. But in the end, only the power users stuck around. Here’s what you missed. Editor's note: Tonight's GIF comes from a Computer Chronicles episode and stars John Markoff's inbox. 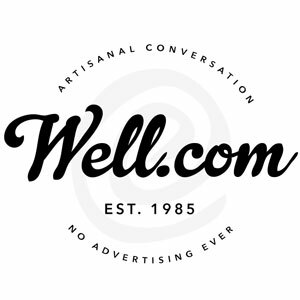 Join The WELL: Home of real conversations with real people since 1985, and no advertising ever. It was a contrast that was too delicious for The New York Times to ignore. In early 1997, two applications were in the process of taking over the internet, and both had roots in the University of Illinois at Urbana-Champaign. One of those applications, Netscape, became a bedrock of how we surf the web. The other, Eudora, put a graphical twist on email. Netscape, of course, helped its creator, Marc Andreessen, eventually become a billionaire, and drove a Silicon Valley boom that we’re still seeing some reverberations of to this day—in part because Andreessen leveraged his financial success into further financial success and later, a plum role as a venture capitalist. In contrast, Eudora maker Steve Dorner created an incredibly popular program, loved by power users at a time when power users owned the internet. Of the early protocols that ruled the ‘net, the web and email were the two most important ones—and UIUC was a proving ground for both. But the Times only showed up at Dorner’s door for a piece about why he had failed to become a multi-millionaire for what he created—which one could say is a backhanded compliment of an article. The reason is simple: There were some differences in what Andreessen and Dorner had done. Andreessen was a student at UIUC when he created NCSA Mosaic in 1993, while Dorner was an employee when he built Eudora in 1988. Andreessen rebuilt the software under a new name (Netscape) and ownership structure; Dorner didn’t. And while Andreessen moved to California, Dorner stayed in Illinois, telecommuting for Qualcomm, which eventually acquired his work from the university, for years. Dorner’s main job for many years was maintaining Eudora. He got a long-term gig out of the move, obviously, but it meant that his idea was at the whims of a large company that was better known for designing communications hardware than email clients. Eudora was a loss leader of sorts—while it had a shrink-wrapped version, most people used the free one, and the success of the free app gave Qualcomm name recognition at a time when it was still pretty obscure. Soon enough, Qualcomm would move to naming football stadiums for that type of name recognition—and Eudora became the app of choice for power users, perhaps at the cost of the broader internet. Fine-toothed filtering: Eudora had the ability to filter out spam, yes, but it was also designed to filter messages with great amounts of detail and sophistication—think Gmail’s search options, but even more in the weeds. In a 1995 episode of the PBS series Computer Chronicles, New York Times reporter John Markoff explained that the filtering capability made it possible for him to parse thousands of messages daily—including one from Steve Jobs that he humblebragged about during the episode. The ability to “redirect” emails, rather than forward: Forwarding emails is a common functionality of email clients, of course, but it always gets dicey when, say, you want to send a message to someone, but encourage them to respond to the original sender, rather than you. Eudora made it possible to do this with its “redirect” function—something most email clients don’t support today. Bottom posting of replies: Perhaps the most controversial feature of Eudora—reflecting an era in which many internet users posted in Usenet newsgroups or listservs—was the concept of “bottom posting,” or putting replies below the original message, rather than above. The internet, driven by clients like Gmail, has largely abandoned bottom posting in email clients, in favor of top posting, but there are still many partisans out there. An arcane way for power users to modify the app: Everyone is familiar with Gmail Labs, but it’s nothing compared to x-eudora-setting, a URI-based tool that can be used to change things under the hood. Basically you paste in one of these codes into a blank message, then click on it, and it changes some obscure setting in the app that otherwise is inaccessible through other means. It’s like having a Game Genie for your email client. “If an e-mail program can survive the merciless scrutiny of the internet community, it's got to be good,” a 1995 ad promoting Eudora stated. Certainly, from a distance, this sounds like a good way to promote a piece of software like this. Lots of people use it, therefore it’s good. The problem with this line of thought is that the merciless scrutiny of the 1995 internet means something different than the scrutiny of the 2017 internet. For one thing, there’s more people. And on top of that, getting online in 1995 required more technical knowledge than it does now, especially if you wanted to use a graphical interface. Back then, before you could even get going on Windows, you had to set up the ability to connect to the internet using Trumpet Winsock, a networking tool for Windows 3.1 that allowed users to connect directly to the ’net before Microsoft added it to Windows itself. Winsock, intentionally or not, was a great way of naturally filtering out people whose skills didn’t meet a certain level. Those who couldn’t figure it out could just use AOL. The technical hurdles of internet access were later solved, of course, and that meant later generations of internet users—the people who failed the Winsock test in prior versions of Windows—needed more help from their email clients. Customization was great for people who could wrap their heads around something like Winsock, but later internet users simply wanted things to work—and that led them to the arms of webmail clients like Hotmail. In a 2015 interview with blogger Joe Clark, Dorner made the point that later internet users were less interested in customization than something that worked out of the box. Combined with the growing flood going into our inboxes, our collective philosophy around email had simply changed. His interviewer is not unbiased on the issue of email. Clark, like a lot of folks who used Eudora back in the day, says the modern users missed out on the good stuff. “You don’t know what’s possible; you don’t know what you’re missing,” Clark wrote. We probably don’t. With smartphones our most common email vector these days, we’ve had to simplify our messaging needs, rely more on machine learning and artificial intelligence to figure out what we don’t want to see, and embrace that while we can customize some things, we’re mostly putting our trust in Microsoft, Google, or some random startup to get things right. Eudora was a room full of knobs, perfect for tweaking to your heart’s content. But we’re in an era in which it’s preferable to hide the knobs away—whether or not that’s wise. — Steve Dorner, discussing his feelings about the eventual demise of Eudora in an interview with blogger Joe Clark. The client was originally discontinued in 2006, but Qualcomm recreated the program as an open-source project based on the code base for the Thunderbird email client. However, within a few years the company had abandoned it. The response to the new effort was mixed—the feedback on the project’s wiki suggested that people who loved Eudora weren’t ready to commit to the new client. I won’t go so far as to say that Eudora has generated a nostalgia movement along the lines of what we’ve seen with video games or old computing platforms like the Amiga, or even a modest revival like we’ve seen with Gopher. But the people that were there loved this friggin’ email client. But while the client can technically be used in Windows to this day, it hasn’t worked on MacOS since version 10.6, due to Apple’s architecture change to Intel. Only imperfect replacements exist, and people used the hell out of it way back when. Tech writer Adam C. Engst, who literally wrote the book about how to use Eudora and used the platform as a home base for his long-running newsletter TidBITS, had quite a challenge when he had to move his messages to another client. With an inbox that dates to the days of the Classic Mac, before even IMAP was in wide use, the cloud wasn’t an option. It took him a lot of testing and a lot of different applications, but he managed to keep most of his emails. Could you imagine using something that much, that aggressively, then having to give it up?